Six Flags Great Adventures in Jackson, NJ is opening this week with wild new theme park rides: the massive 24-story-tall SkyScreamer extreme swing ride, a new Wild Safari tour, and Hurricane Harbor’s intimidating King Cobra racing tube slide. 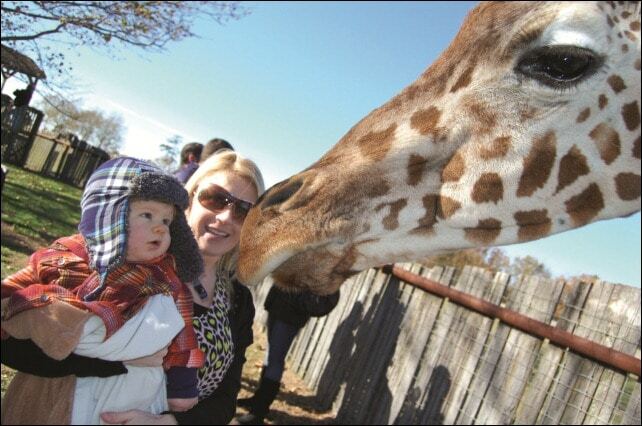 For the first time at Six Flags Wild Safari, guests have the opportunity to venture outside their cars to feed towering giraffes. A guided bus tour that departs from the theme park, Close Encounters, transports guests to Camp Rose, an enclosed section of the Wild Safari where guests can walk freely and see these astounding animals up close. The tour also includes an informative and breathtaking look at nearly 1,200 exotic animals living among the park’s 350 acres. Tour tickets can be purchased in advance online or inside the theme park and are available beginning April 5. At Six Flags Hurricane Harbor, it’s Go Big, Go Extreme–with the addition of King Cobra, an intense and visually-stunning, racing tube slide, slated for an early July opening. King Cobra promises one of the most extreme riding experiences in the industry while also delivering great spectator appeal. Complete with bold orange, black and white scales to resemble a massive cobra on both the interior and exterior, this slide tower will be the first of its kind anywhere in the United States. 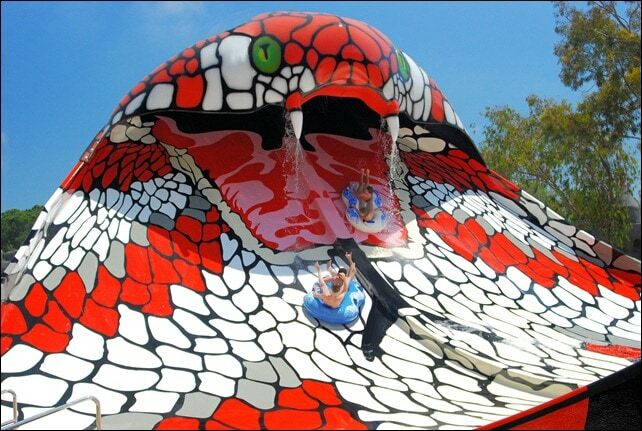 King Cobra’s unique configuration enables two tubes to race through a circular path with twists, turns and surprises through enclosed and open sections of the slide at speeds up to 32 miles per hour. The ride’s finale features a sudden, 25-foot plunge at a 50-degree angle with riders racing until the heart-pounding finish as they appear to be swallowed by the massive mouth of the cobra. Six Flags Hurricane Harbor opens for its 13th season May 26, 2012. 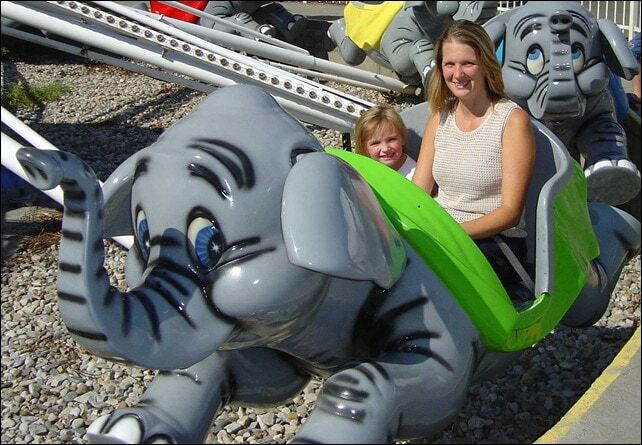 New family thrills include the introduction of Adventure Alley, featuring three new family rides–Fender Benders bumper cars, a music-themed scrambler called Déjà Vu, and flying elephants known as Air Jumbo. “Although we are best known for our record-breaking thrills, families have told us they would like more attractions they can enjoy together. 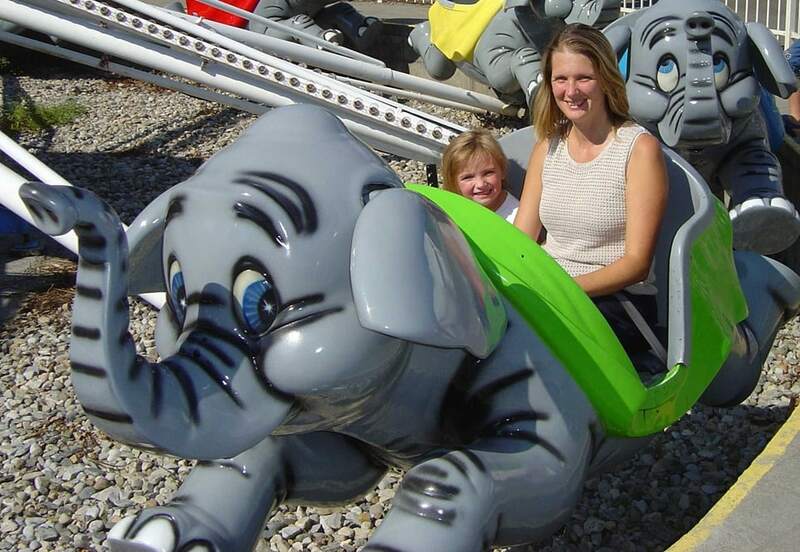 Adventure Alley offers a nostalgic approach to thrills, and together the four new rides surely deliver fun for all ages,” said park president John Fitzgerald. The newest sensation in tower rides, SkyScreamer takes traditional swing rides to the next level. Thirty-two guests board the ride and sit two across in open-air swings as they climb to the top of the SkyScreamer tower while spinning round and round. At full swing, guests soar in a 98-ft. circle at speeds of 40 mph high above the park below. SkyScreamer, Déjà Vu and Air Jumbo are slated for a May 22 debut, with Fender Benders following in June. Adventure Alley joins the park’s already stellar lineup of innovative rides and attractions including three children’s areas and record-breaking roller coasters including the world’s No. 1 wooden coaster, El Toro, the world’s tallest coaster, Kingda Ka, and one of the world’s top steel coasters, Nitro. Photo Credit: Thanks to Six Flags for providing photos and video.